Join Social Value UK for our conference promoting the exchange of resources and collaborative action between everyone interested in measuring and maximising the value they create. After spending a decade at the forefront of social value, we want to continue to facilitate impact within the community and support everyone, across sectors, to maximise value by amplifying stakeholder voices. The conference will be held at GMCVO’s St Thomas Centre, a renovated Grade 2 listed converted Georgian church, conveniently located just 10 minutes walk from Manchester Piccadilly train station. Full information on how to get to the venue can be found here. This is an all-day event with a hot lunch and refreshments provided throughout the day. If you have any dietary requirements please make sure you tell us about them on the booking form. 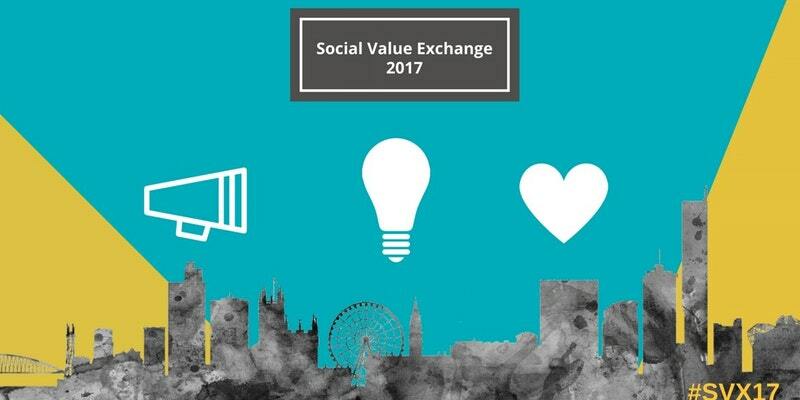 We welcome contributions from the social value community so if you have any ideas for content you would like to see or contribute to the Social Value Exchange 2017, please let us know. 30th November to 30th November 2017. Starting at 9am and ending at 5pm. St Thomas Centre, Ardwick Green North, Manchester, United Kingdom.